In a previous communication 1 a family was reported on in which both parents and all the children showed stigmas of Mediterranean anemia. Two of the children suffered from the severe form of the disease, while the blood of the parents and of the remaining child, all asymptomatic, revealed distinctive abnormalities of erythrocytes. 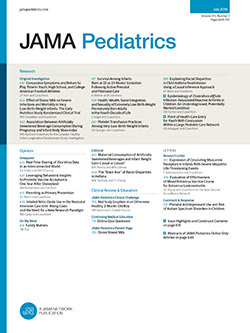 The occurrence of unquestionable Mediterranean anemia in 2 members of one family and of disturbed erythropoiesis in the others lent weight to the hypothesis that the condition in the cases originally described by Cooley and his associates represented a severe and often fatal form of a more prevalent disease of variable intensity. It was pointed out that the mild form of the disease might be detected only by careful examinations of the blood and occasionally by alterations in the roentgenograms.